FriXion Point Erasable Gel Pen features FriXion Erasable technology and needlepoint technology. Erase and rewrite repeatedly without damaging documents. Erasing causes no wear or tear. 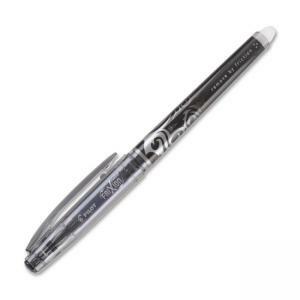 Gel pen writes smoothly and erases cleanly. Thermo-sensitive Gel Ink is removed by erasing friction. Needlepoint tip delivers precise, clean lines. Gel pen also earned the prestigious Good Housekeeping Seal.